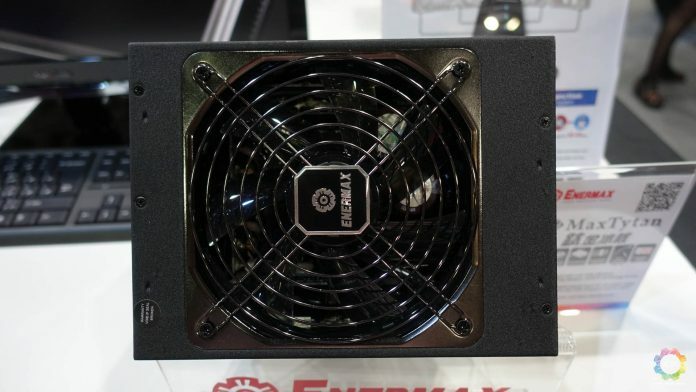 ENERMAX is a household name for high quality power supplies in the PC component market, and this year in COMPUTEX, the company has a number of cool products that differentiates from the sea of PC cases, power supply units and coolers, and we happen to come across three products that caught our attention. 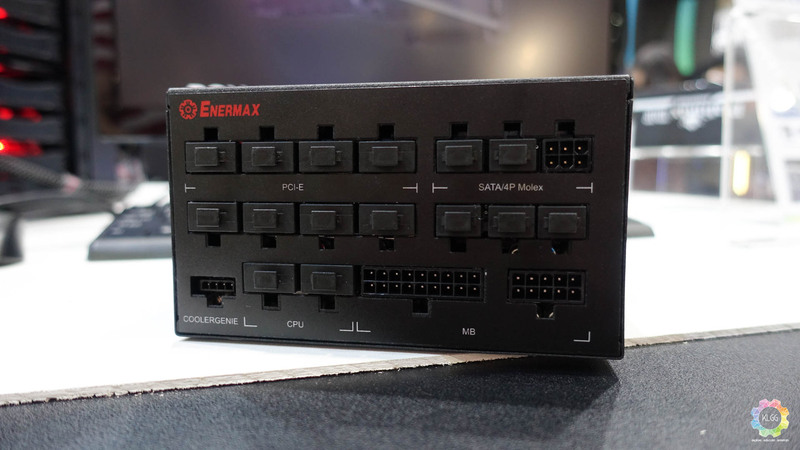 Designed for achieving extreme system performance, the MaxTytan is a fully modular power supply that features a patented Dust Free Rotation technology, which the cooling fan spins in reverse when it gets turned on, it also features passive cooling, which the fan only starts spinning once the system reaches 60% load, therefore offering absolute silence when you are doing lightweight tasks on your system. 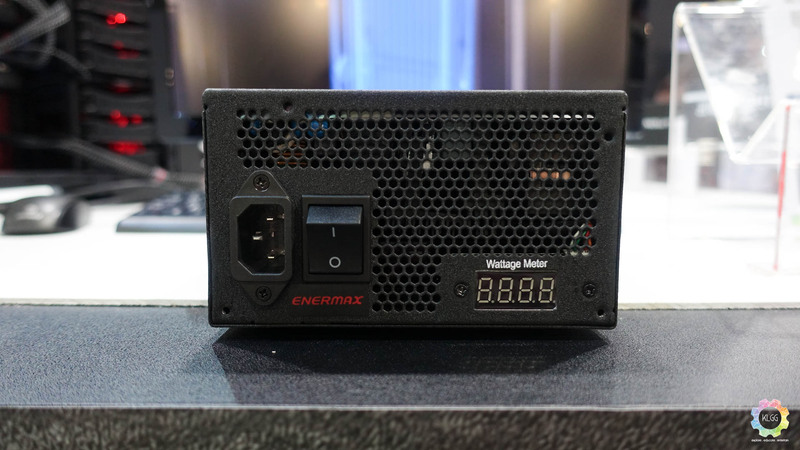 The MaxTytan features a built-in wattage meter, so that PC enthusiasts can understand their system load without using an external power meter. 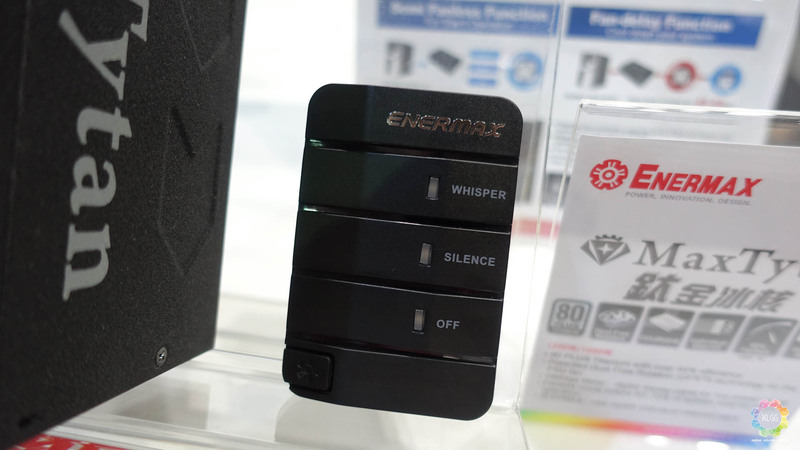 What’s even more interesting here is that ENERMAX has bundled a little gadget with the PSU called COOLERGENIE, which can be used to control system fans, the module gets power from a dedicated port on the MaxTytan PSU, and offers Semi Fanless and Fan-Delay function, which users can choose to control how fast they want it to spin during operation or keep it running for 40-60 seconds after the system is turned off. 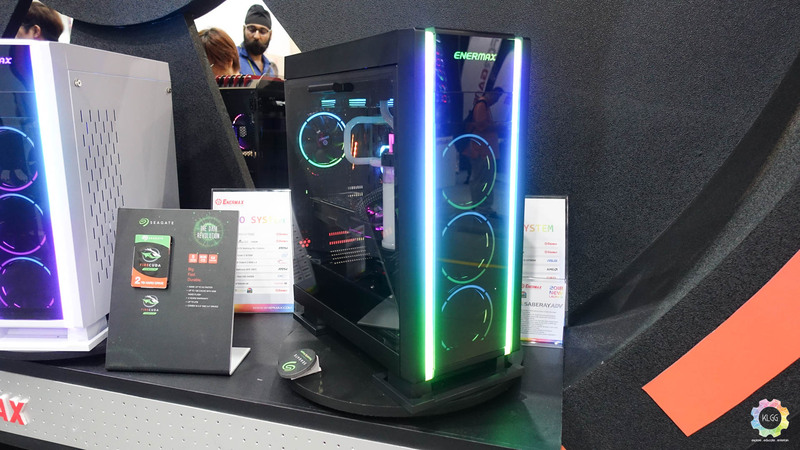 This is one of the more interesting PC cases that we have come across, not only it allows PC enthusiasts to build their systems with ease with a tool-less design, it also features addressable RGB strip lighting running from the front to the top, the lighting effects can also be synchronized with RGB motherboard softwares from ASRock, ASUS, Gigabyte and MSI. 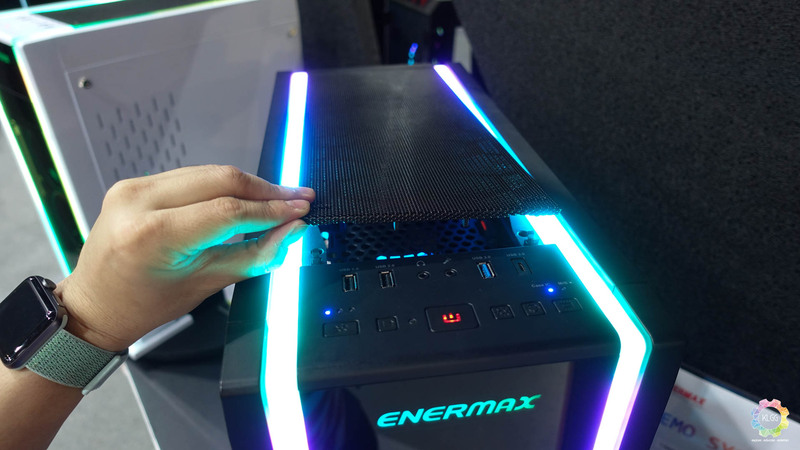 The SABERAY is a pretty versatile mid-tower RGB gaming case, the top and side panels can be quickly removed to access your system internals by pushing down a handle fitted to the tempered glass panel, it supports 360, 280, 240 and 120mm radiators, and the spacious internals are designed with airflow in mind. 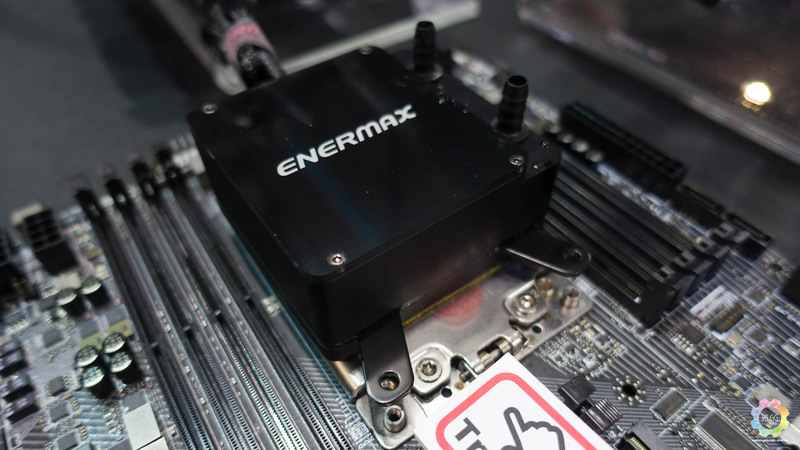 While this isn’t the coolest looking CPU cooler in the COMPUTEX showfloor, ENERMAX’s cooling solution to to the largest AMD CPU – the Ryzen ThreadRipper, is definitely worth checking out. 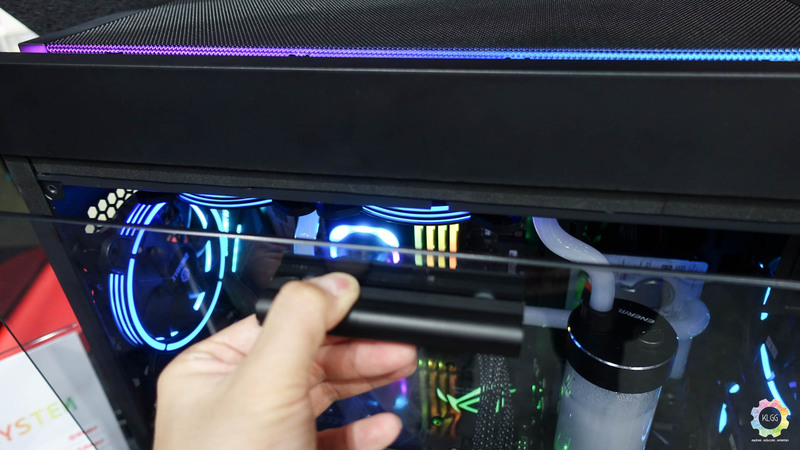 The LIQTECH TR4 is a closed-loop liquid cooler, it is the first and only AIO water cooler with a base plate that covers 100% of the Ryzen ThreadRipper CPU’s surface, the CPU’s water coolng block features a patented Shunt-Channel-Technology cold-plate design that is able to deliver a 500W+ TDP for heavily overclocked CPUs and demanding HEDT systems. 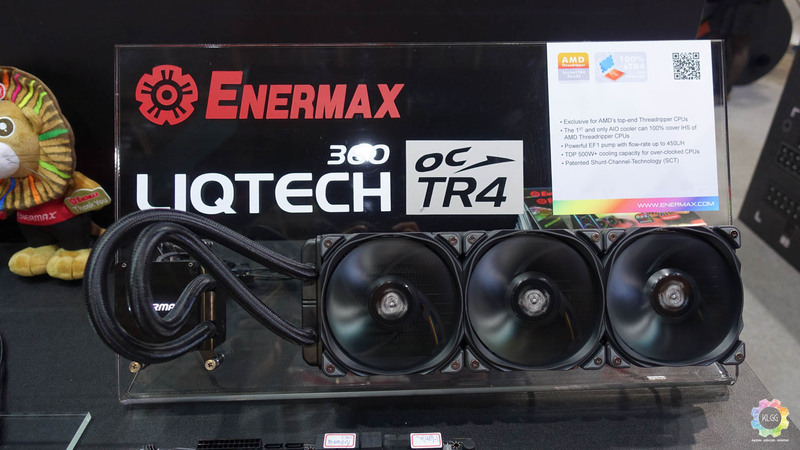 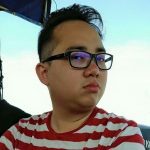 All ENERMAX products featured above are already available in the Malaysian market and is distributed by CUDO Technologies Sdn Bhd.